Buying a property after 1 July 2017? 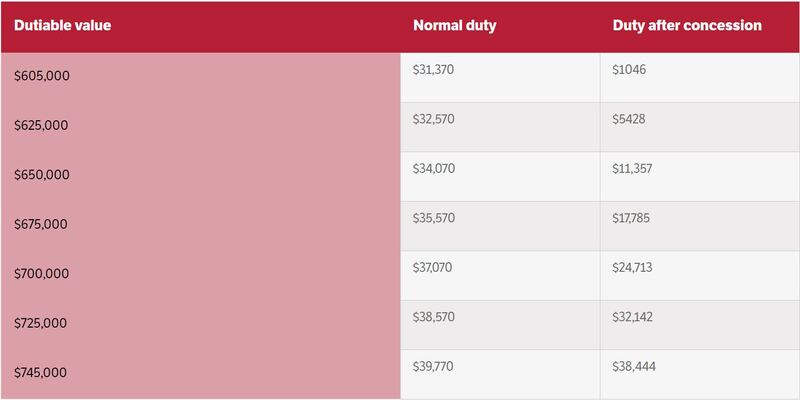 No stamp duty will be payable for first home buyers on properties purchased for up to $600,000. You must move into the property within 12 months of settlement. Purchasers of land will receive a refund of stamp duty paid after the house commences construction. 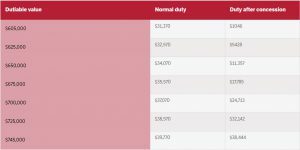 Owners occupiers (not first home buyers) who purchase a property to live in will still receive up to a $3,100 discount on stamp duty, known as the Principal Place of Residence Concession. This is unchanged from pre 1 July 2017. Please do not sign any contract without obtaining legal advice first.